We want you to get up and running straight away with your new appliance, which is why our expert team will connect your new item and make sure everything is working properly. Please note, we won't connect your new tumble dryer if it's hard wired. 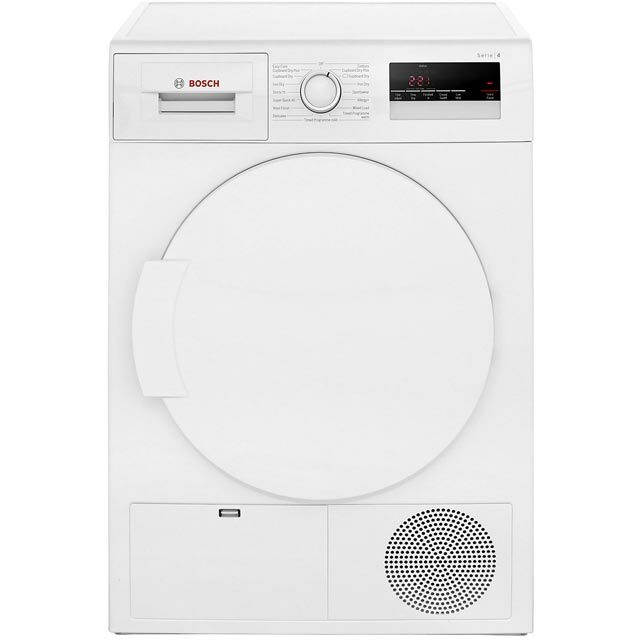 Make laundry days effortless with this Bosch tumble dryer. 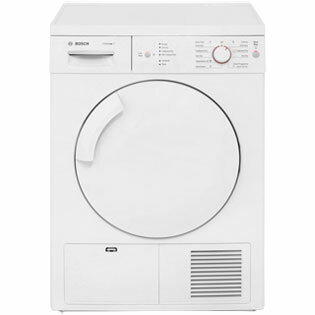 Its 7kg drum capacity makes it a great addition to medium-sized households, and it’s rated B for energy efficiency too. With clever AutoDry technology, it’ll even help to reduce your utility bills. This uses sensors to measure the moisture level in each load and work out the perfect drying time, so energy isn’t wasted. For a more manageable ironing pile, there’s also an anti-crease feature on some of its programmes. This gently tumbles your clothes automatically at the end of the drying process, preventing deep creases from forming. I bought this dryer as It was recommended to me. It does not disappoint. It is a very quiet, efficient Condenser Dryer that is easy to use. It looks good and fits in anywhere in the house as it doesn’t need to vent. I am very happy with it. Used daily, so far drying results excellent particularly the anti crease which seems to work well. Very pleased with it. Controls easy to use. I've used this half-a-dozen times now, and it does exactly what it should. I noticed it doesn't have a timer like the old dryer this replaced, but it wasn't too expensive so it doesn't really matter. Great dryer, easy to use, quick to dry, choice of drying settings. Would recommend- so much cheaper than others in the market but seems great.